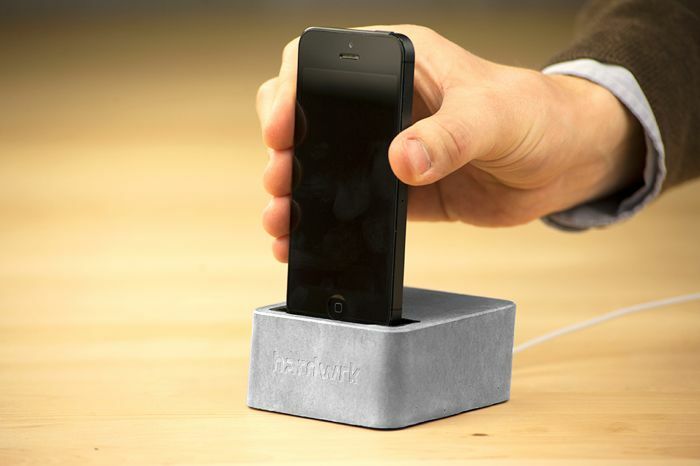 The Massive Dock is an iPhone dock made for the iPhone 5S, the iPhone 5C and the iPhone 5, it is the creation of German design firm hardwrk, and it is made from concrete. Each one of the Massive Dock’s for the iPhone 5, iPhone 5S and iPhone 5C is made from 570g on concrete, the dock is then refined by hand, have a look at the video below. The hardwrk Massive Dock is cast in a complex procedure. With this we achieve a high degree of density, accuracy of fit and excellent finish of the surface, which is beyond compare. Every Massive Dock is inspected by hand, polished, cured and sealed to avoid impurities. Employing this attention to detail, the matt finish and open cell character of the concrete is preserved. 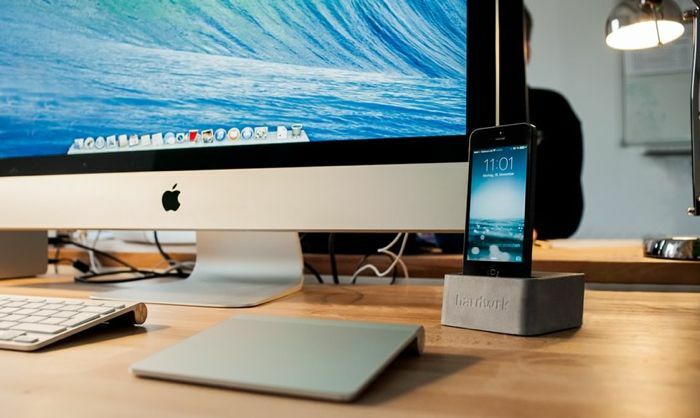 The Massive Dock is now available from hardwrk for £49.90 or 59.90 Euros, you can find out more information over at the creators website at the link below.